Say yes to the choles? Cholesterol, that is. 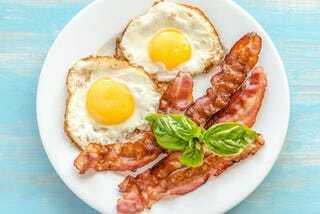 It was almost 4 decades ago that the US Dietary Guidelines Committee first declared that people should limit their cholesterol intake to about 300 mg/day. With continuing research, scientists have discovered that moderate intake of cholesterol has pretty much no impact on one's health. They recommend that people (and their doctors) focus more on saturated and trans fat intake.